A targeted cream containing a concentrated blend of ingredients precisely formulated to combat visible signs of aging on the delicate skin of the neck & décolleté. This intensive complex is supercharged with MPC™ and packed with antioxidants and moisturizers as well as exfoliating properties to encourage cell turnover for a softer and more luminous appearance. 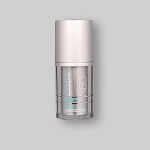 Enhance elasticity through promotion of elastin formation creating a more youthful, sculpted profile. Boost Collagens III & VII leading to the reduction of fine lines and wrinkles. 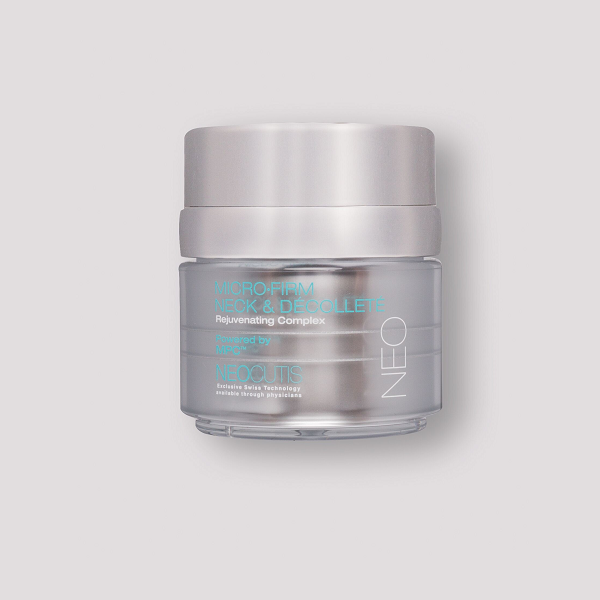 Firm thin, loose skin on the neck, collarbone and bust through nourishment of Collagen I & Hyaluronic Acid. Sodium Carboxymethyl Betaglucan provides a tightening effect helping to accentuate the natural contours of the neck and décolleté. Glycerin, Argan and Jojoba Oils work alongside Wild Yam Extract to infuse moisture and help fortify skin. 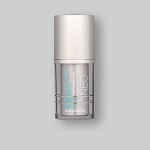 With regular use, skin will appear younger, smoother – perfected. Formulated with silicones and natural oils creating an elegant, light texture for flawless application. Apply to the neck & décolleté area in an upward motion as part of your daily beauty routine. For optimal results apply AM and PM or as directed by your skincare professional. 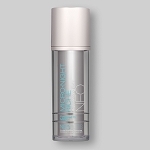 In the morning follow with the application of a NEOCUTIS broad-spectrum sunscreen product.